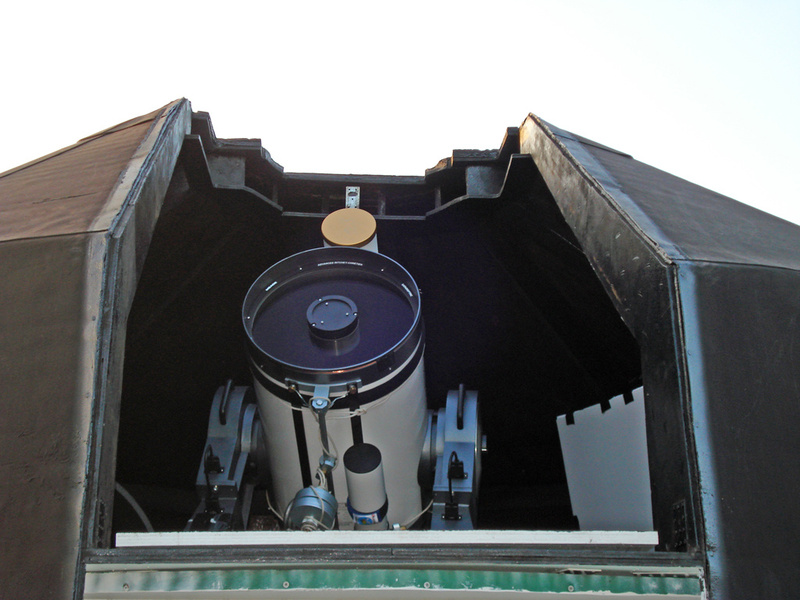 Meade LX200ACF 16" polar wedge setup (Ken Milburn) on top of an iron pier (filled with sand inside). 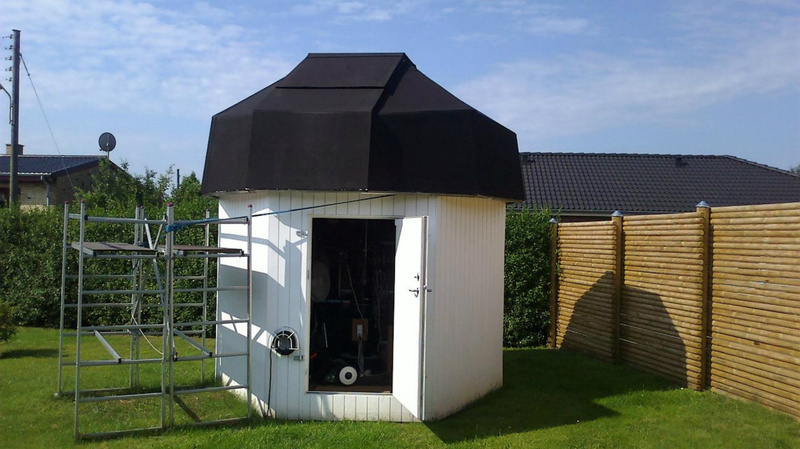 Home made observatory placed in my garden and made mainly of wood during two summer vacations in 2005 and 2006. 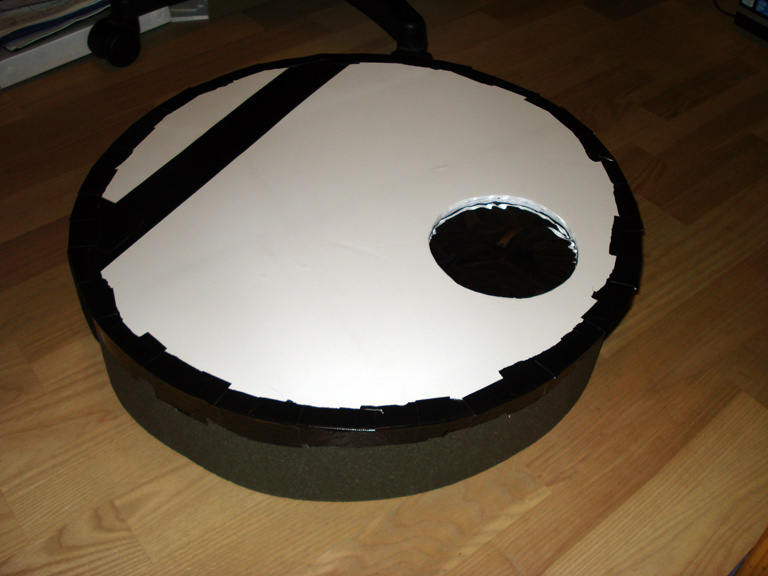 Lightbox made for LX200ACF 16". Lightbox made for WO FLT-110. 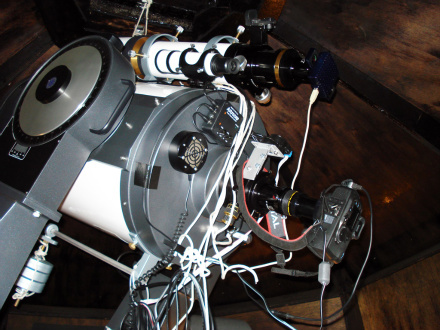 DMK 31AU03.AS camera, IR pass, L, R, G and B astronomik filters and TeleVue Powermates 2.5* and 4.0*. 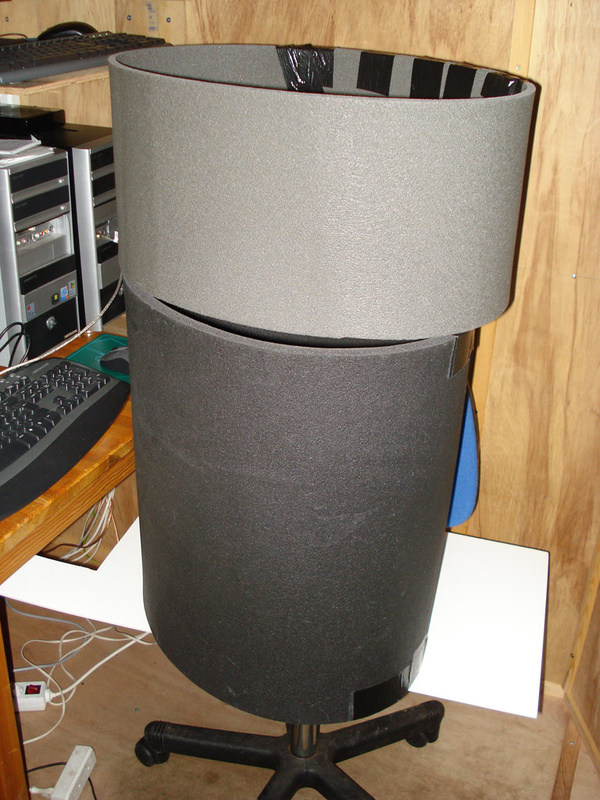 Homemade dewcaps for Meade LX200ACF 16". Obs. picture taken in Maj-2010 while taking Lunar pictures. 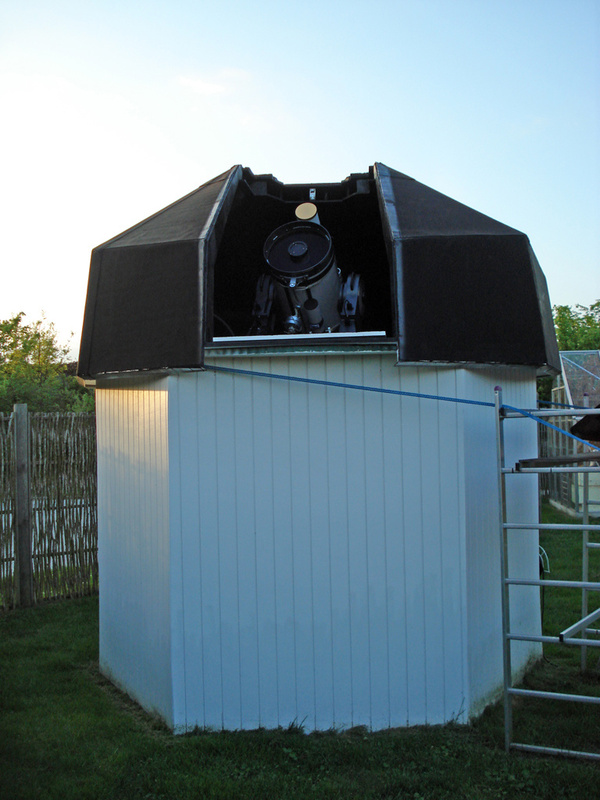 Homebuild observatory in my garden, Amager CPH during 2005->2006. 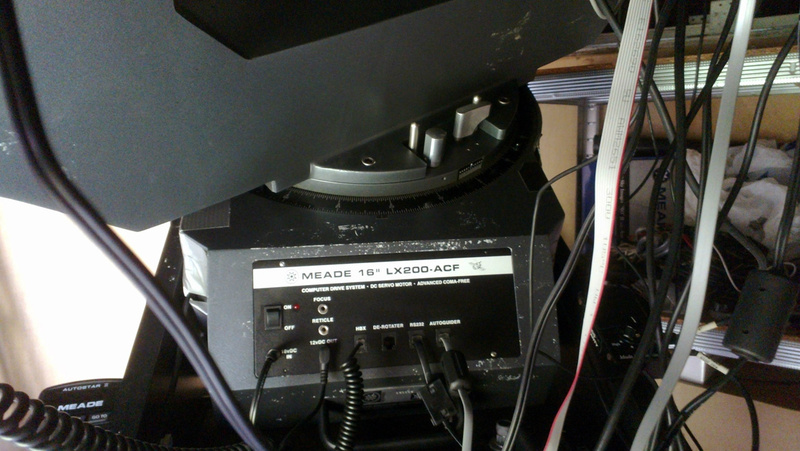 Sun filter for 16" Meade LX200ACF. Small contra weight mounted for the Canon 20Da camera super widefield setup. Super widefield Canon 20Da camera setup mounted ontop of the LX200ACF 16" setup. 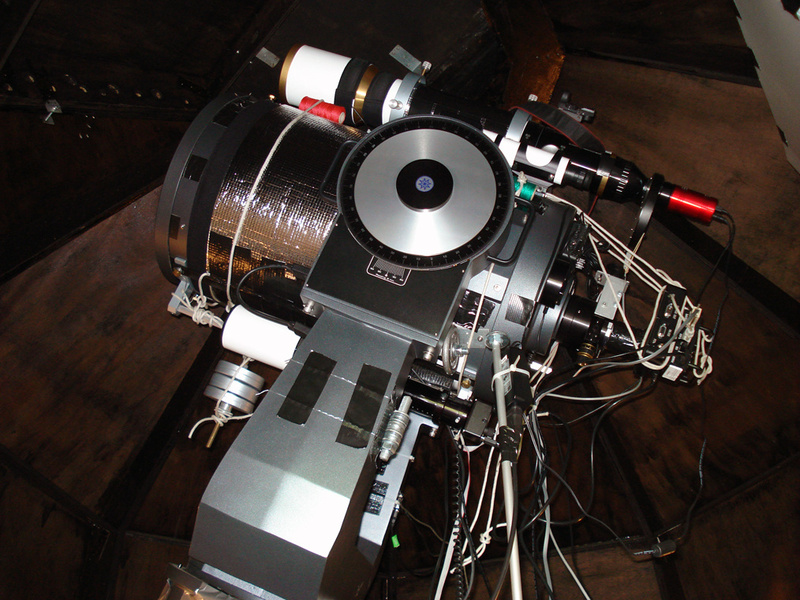 Atik camera mounted in the setup. Used to cover nearest street lamp witout prevending light faling onto the street. 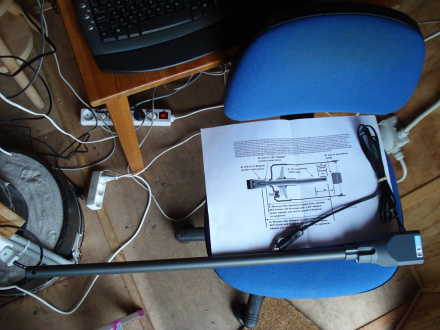 New LX200ACF 16"/WO FLT-110 setup picture added. 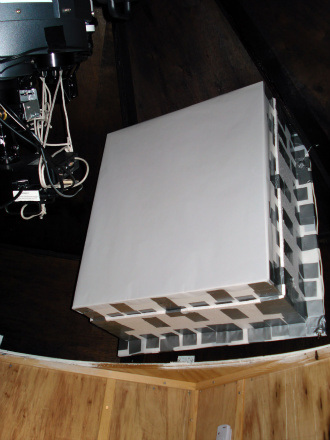 It show the telescope tubes partly covered with isolation material (sleeping pad) to slow down the cooling effect when it's getting very cold during observation hours. 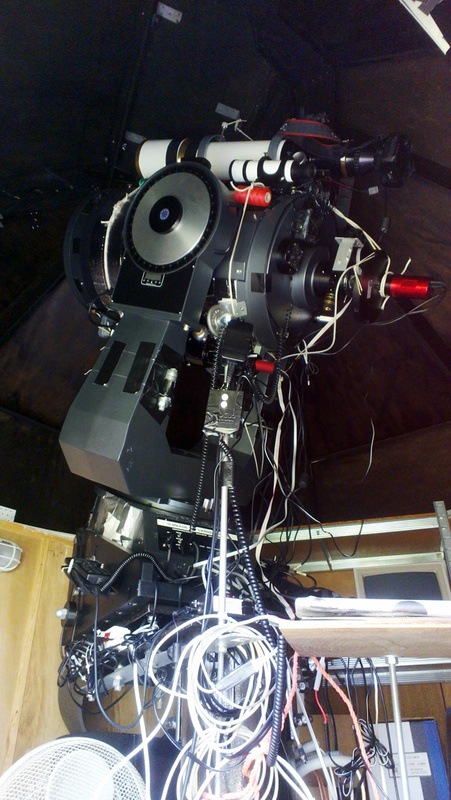 Latest setup, now in operation, march 2013. 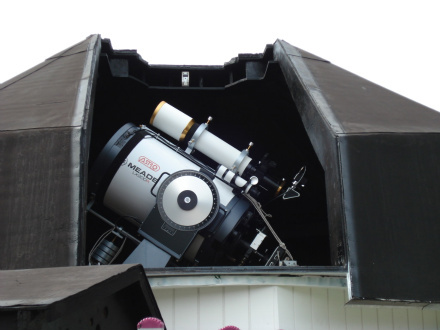 Mounted on WO FLT-110 is a WO reducer and a Canon 60Da camera, LX200ACF 16" is now mounted with the Atik 460EX mono camera. SBIG ST-i camera to be used as guide camera for the whole setup. 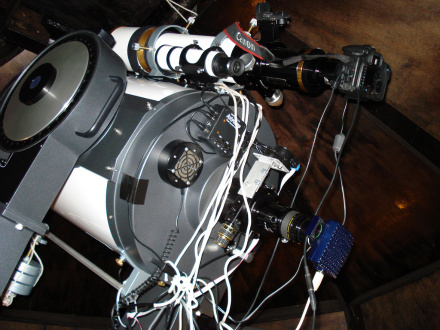 TheSkyX program control my setup, Lx200acf, guide camera, imaging camera with filter sledge and the robo-focuser, great! My latest setup after the "break down". 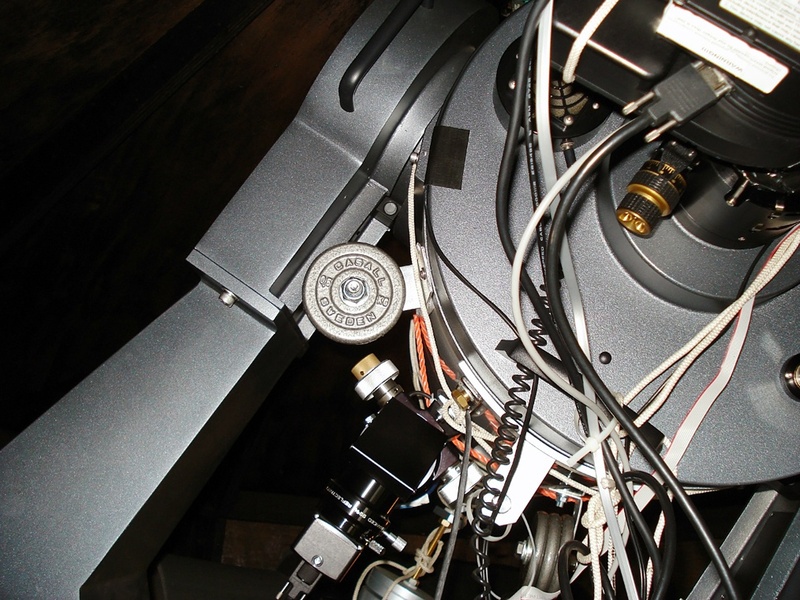 The cure was to change the motherboard in the lx200acf 16" baseunit. A lot of thanks/good thoughts must go to Erik/Dennis at 2astro.dk/the local astro-drealer in Aalborg/DK! A new/renovated Lx200acf 16" baseunit motherboard from Bresser, in Germany, now mounted and it works!/got my setup up and running again, great! 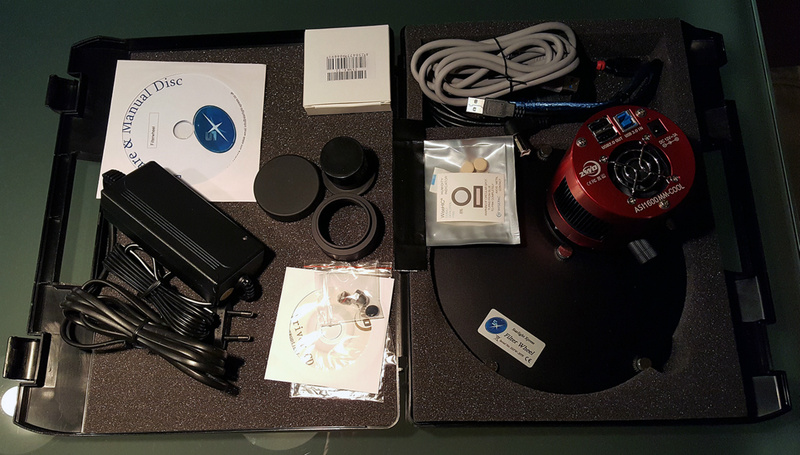 A new ZWO camera and new Baader LRGBHa,OIII,SII filters, including a new 7 position filter wheel. 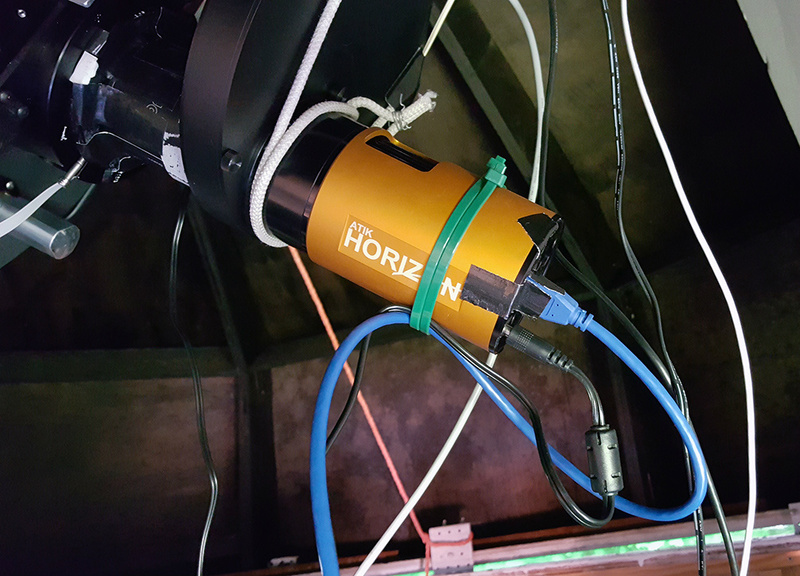 Horizon Beta CMOS camera setup. 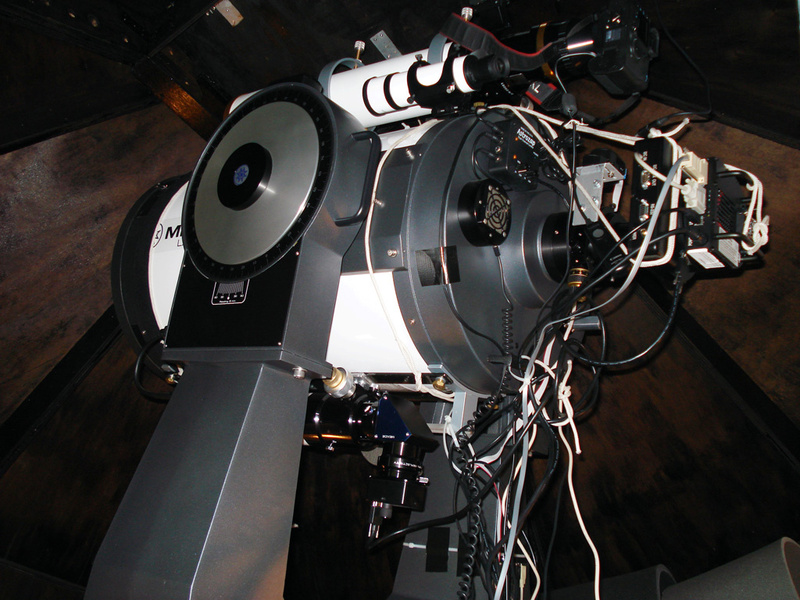 A wide-field astro setup picture. 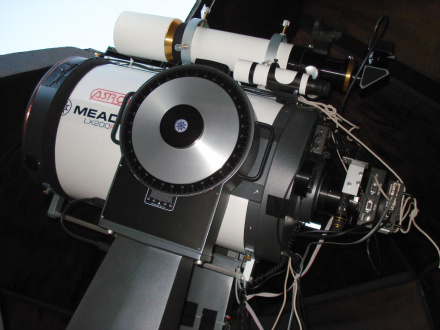 Current setup/equipment; Meade LX200ACF 16" (mounted with coppertread heater; 7W with 12V DC; plus normal dew-heater), WO FLT-110 on-top mounted with WO fieldflatner and Canon20Da. 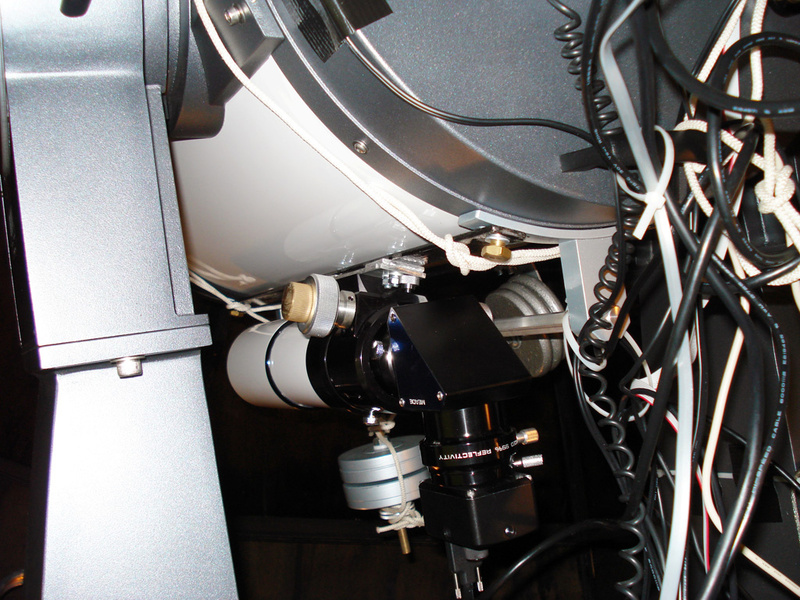 LX200ACF mounted with JMI Robo-Focuser, SBIG Camera ST-8XME, CFW10 Filter Wheel and can be used together with Lepus 0.62X Reducer or AP CCD telecompressor 0.67 or Optec NextGEN Ultra WideField 0.7X reducer or Optec NextGEN Wide Field 0.5X reducer. Guide via Individual ED70/STL 237H CCD using CCDSoft and TheSky6. 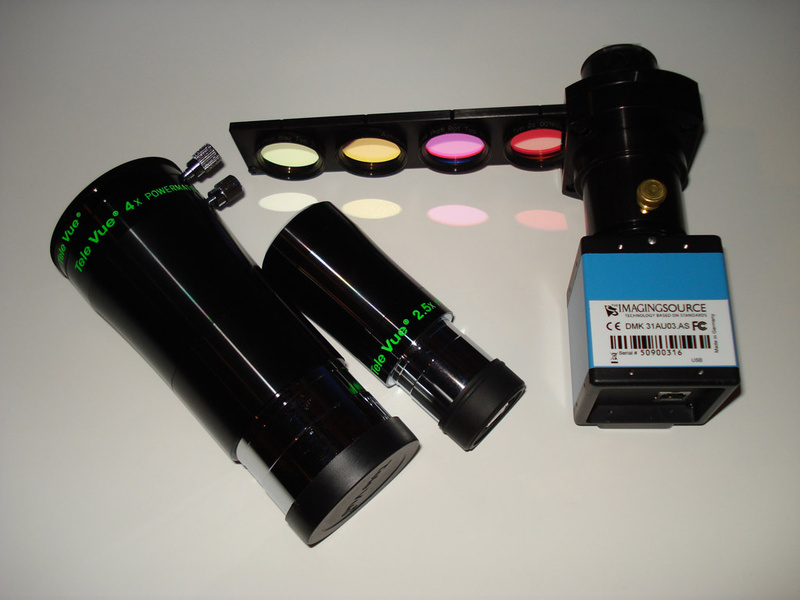 Astronomik filters used in SBIG CFW10, LRGB, Ha, SII, OIII 6/12/13nm. 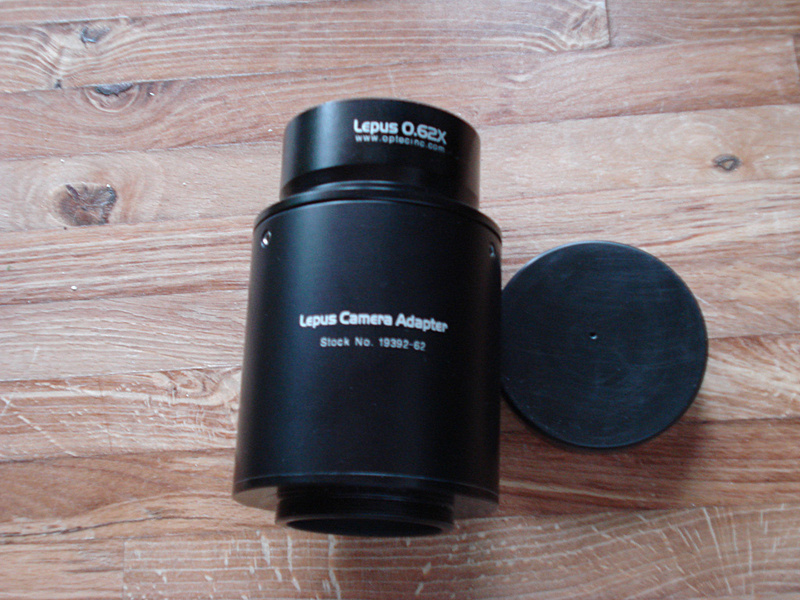 Astronomik CLS CCD and EOS clip series used for Canon 20Da; alternative an IDAS LPS used. 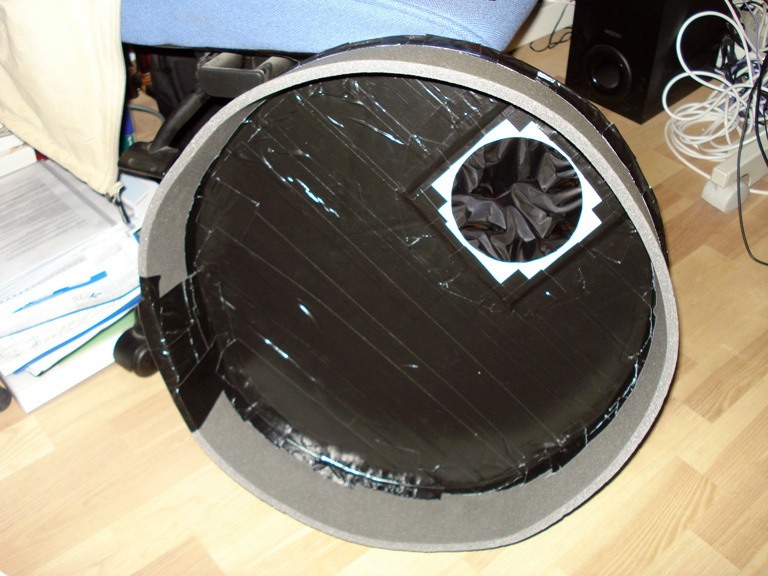 Homemade light boxes used on WO FLT110 and LX200ACF 16" telescopes, for taking flat frames. 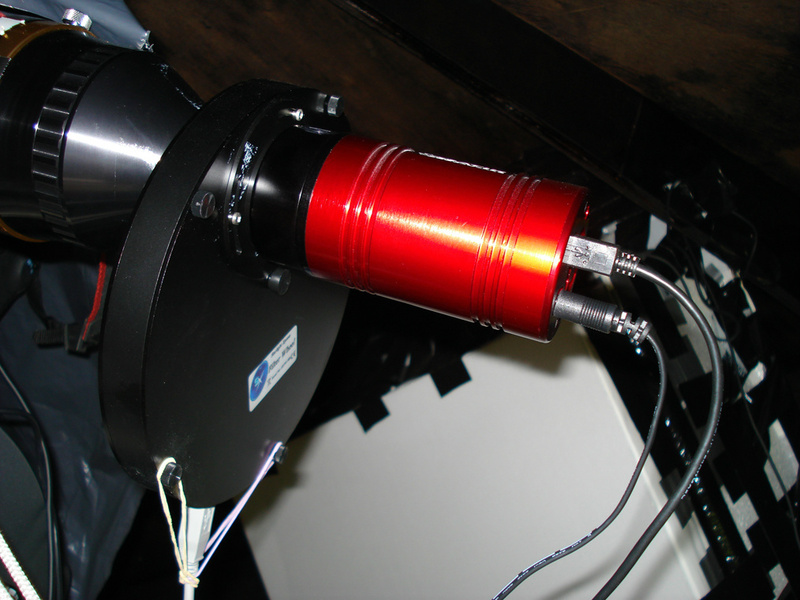 Homemade dewcaps for LX200ACF 16" telescope available. 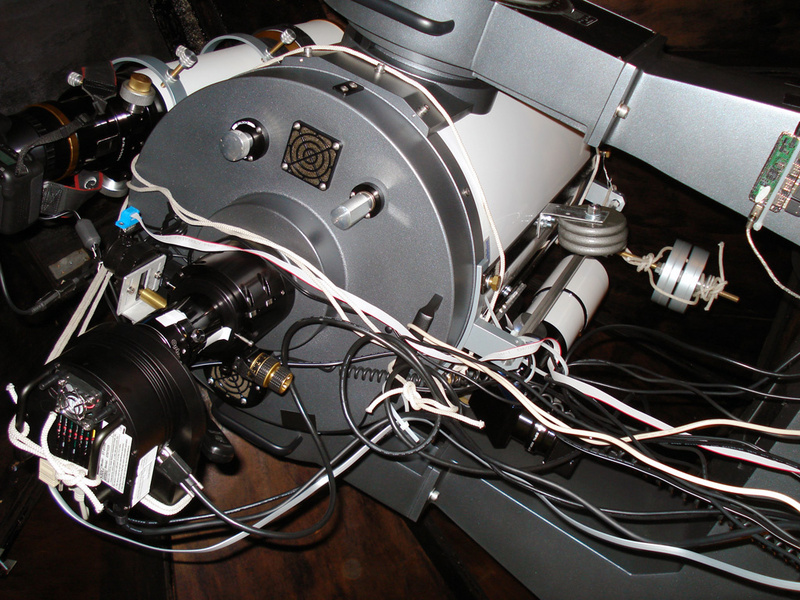 DMK31 / DMK21AU618.AS cameras , IR pass, L, R, G and B astronomik filters and TeleVue Powermates to be used for taking pictures of planets, sun and the moon. 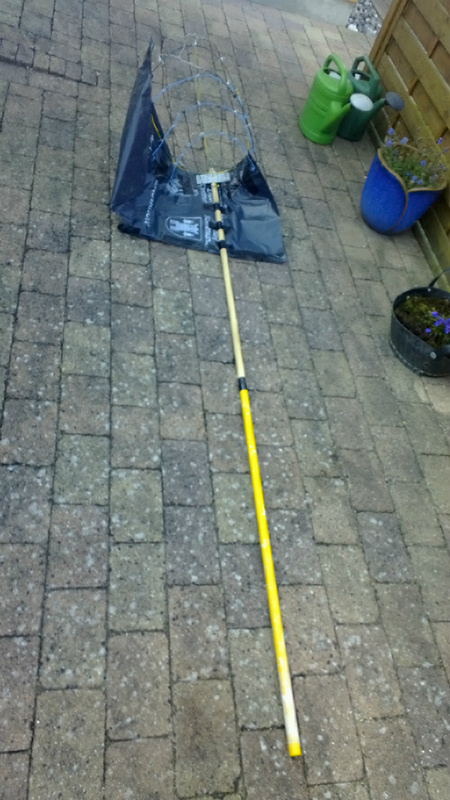 Homemade sun filter made for 16" Meade LX200ACF. FLT-110 setup updated with Starlight Xpress SXUFW-1T USB filter wheel with 7 positions 1.25" holder. The holder contain Baaders LRGB and Ha,OIII,SII filtersets. 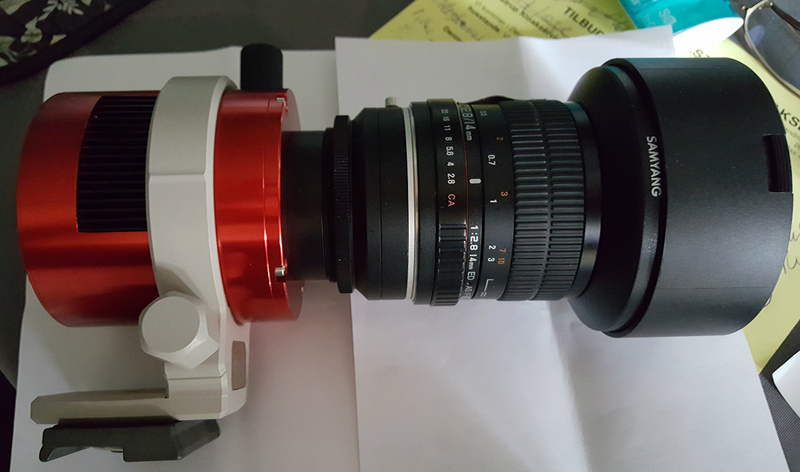 Currently wait for Atik 460EX Mono camera delivery and camera to be mounted in my setup shown below. 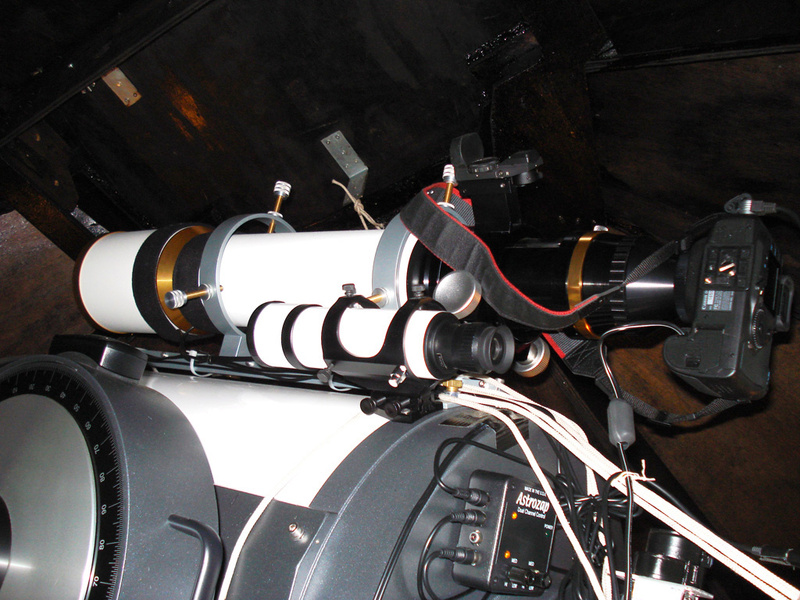 As a third parallel super widefield setup I have now mounted my Canon 20Da camera ontop of the LX200ACF 16" setup. 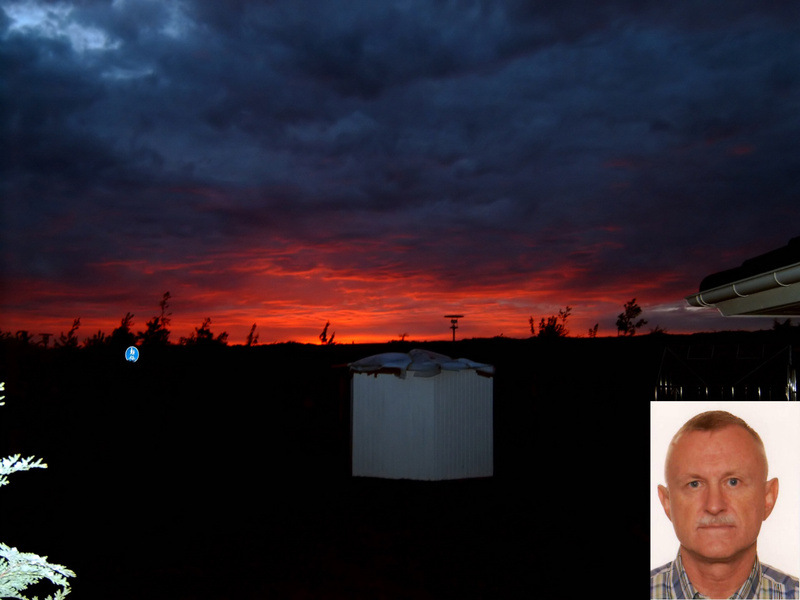 Two pictures of the Atik 460EX Mono camera added below, I'm now ready for first light. 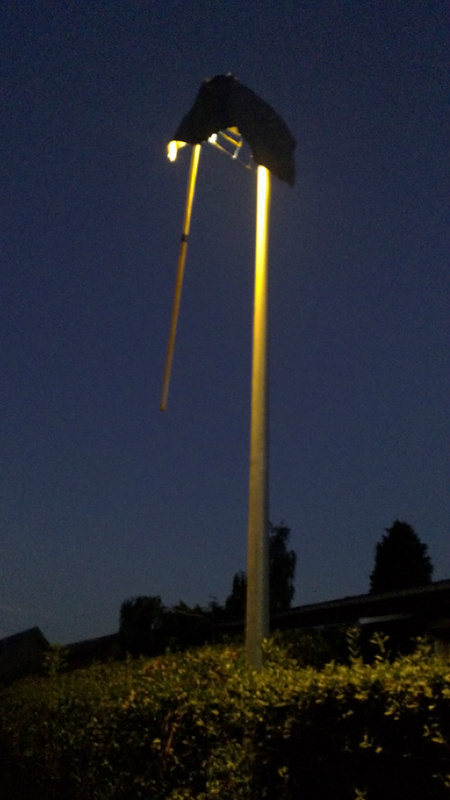 Local street lights/lamps are pain in the a...; therefore I have added two pictures on how to solve this issue and it works! 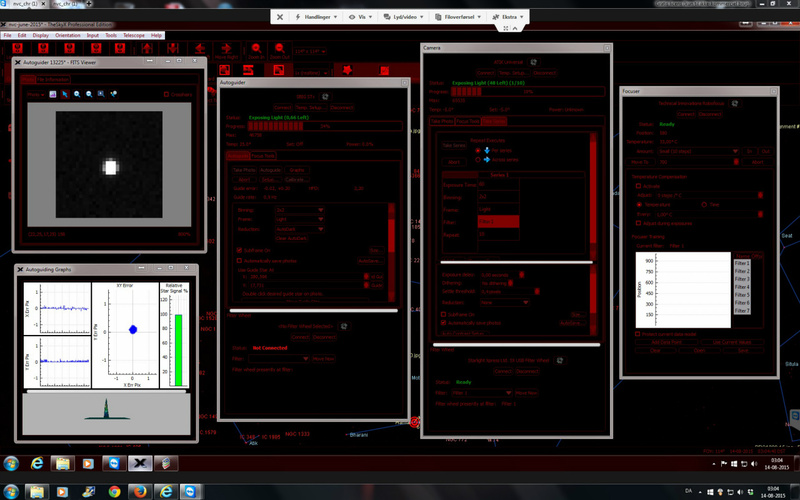 TheSkyX program controls now the whole setup, meaning the Lx200ACF 16" scope, the Atik 460ex mono camera/the filter sledge with NB/WB filters, the SBIG ST-i guide camera and the robo-focuser. It's all up and "running" on a Win7 PC. A picture of the/my latest setup now added, please check it out. 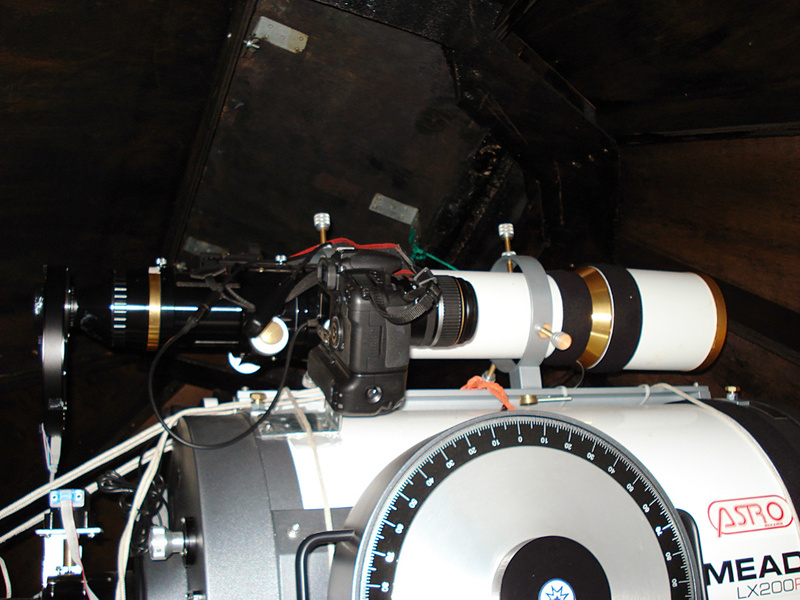 The last added picture below show my new astro camera (ZWO) and a new filter wheel to be mounted on the 16" scope. 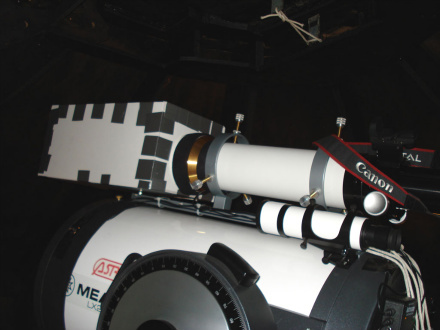 The Atik camera and the old filter wheel will be moved up to/on the WO FLT-110 scope instead of using the Canon 60Da camera. 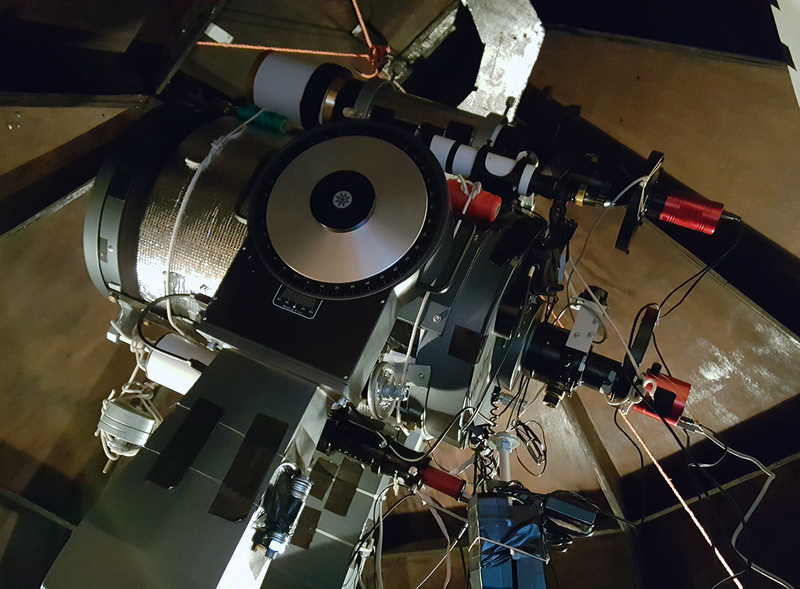 A picture of the/my latest astro setup has been added to this slideshow, febr-2017. 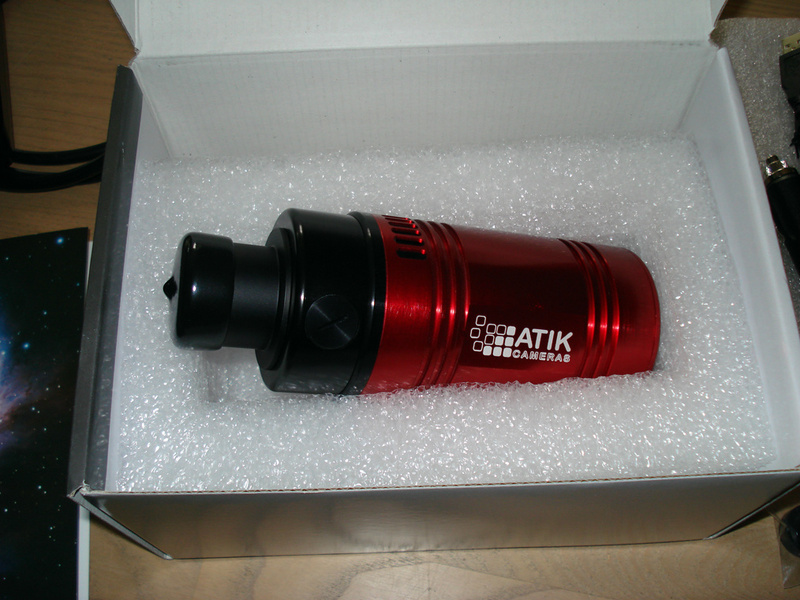 Was selected as an Atik Horizon CMOS camera Beta tester in Oct-2017. 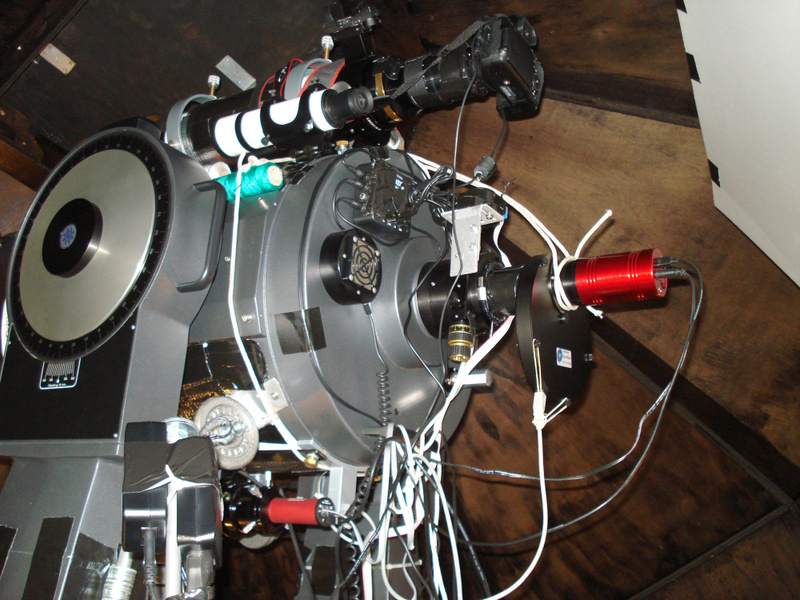 The Horizon camera setup is shown below. 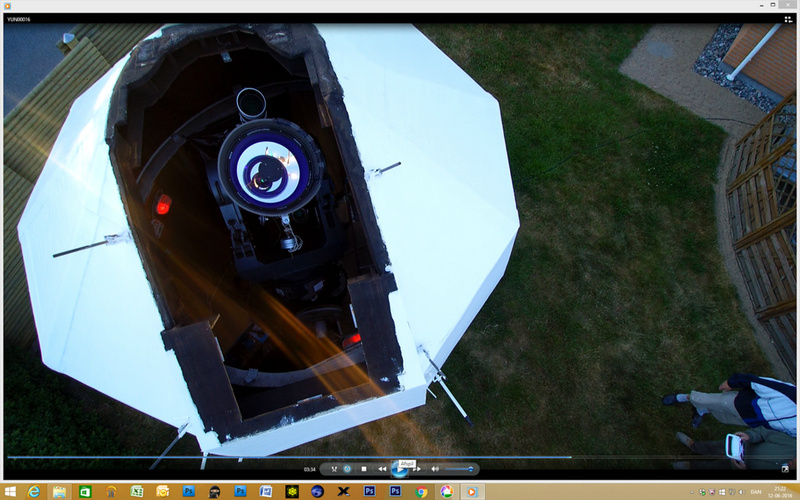 Febr-2018, a "drone view" of my observatorie has been added below. The roof was painted white several years ago to avoid local warm up scenario of the astro equipment. Febr-2018. A wide-field astro setup picture now added. 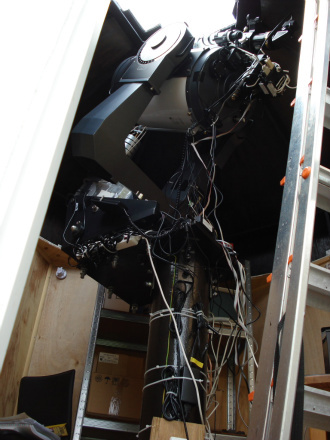 The setup was tested during day-time, not yet tested under a clear sky, task to come. Please check out all the below included pictures, thanks. For a bigger picture and / or slideshow, please left mouse click on below pictures.